The retired NFL player was charged with the murder of his estranged wife Nicole Brown Simpson and waiter Ronald Lyle Goldman in 1994. Simpson surrendered to the police following a dramatic low-speed chase through the streets of Los Angeles. He pleaded not guilty to both murders. Almost after a year of a widely-watched jury trial, Simpson was found not guilty. The website reports that the LAPD are currently testing the weapon – a folding buck knife – after it was handed in by a construction worker. It’s believed it is being tested for hair and fingerprints and will later be screened for DNA at a Serology Unit. One source has even suggested to the website there may be blood residue on it. OJ's ex wife Nicole Simpson and her friend, 25-year-old waiter Ronald Goldman, were stabbed to death on June 12th, 1994. The mother-of-two died after being stabbed several times in the head and neck. Their bodies were discovered outside her house in the early hours of June 13. 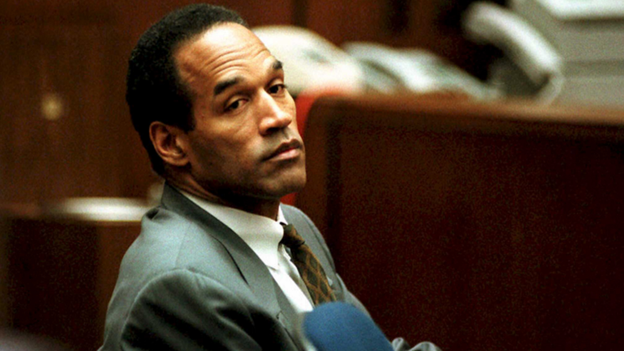 A jury found Simpson not guilty after the eight-month trial that ended at the beginning of October, 1995. According to TMZ the knife was actually handed in years ago but the officer it was given to was not on duty at the time – he was on the street in Brentwood doing security for a movie shoot. Despite taking the weapon off the construction worker the officer kept it for years without telling anyone. It’s claimed it has come to light now as the officer, who has retired, told a friend who worked for the LAPD's Robbery Homicide Division (RHD) that he wanted to get it framed. 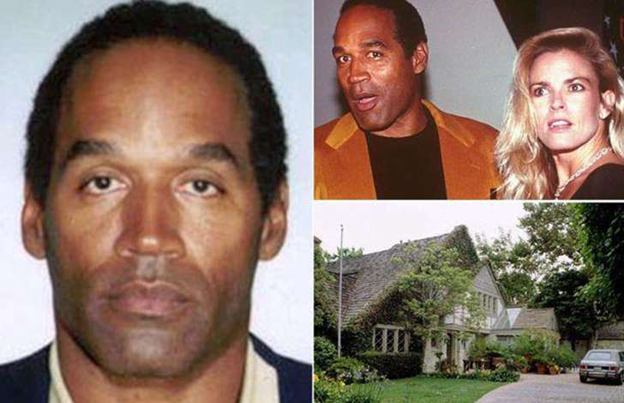 The officer reportedly even asked his friend the departmental record number for Nicole Brown Simpson/Ronald Goldman murder case – so he could get that engraved. The website claims the friend told his superiors and the retired officer was told to hand it in. It’s thought OJ can not be prosecuted again because of double jeopardy. He was found not guilty at the time – meaning it is still an open case.